As a professional content publishing platform, WordPress certainly meet the high design requirement of portfolio, gallery and photography websites. There are numbers of premium themes available for the exposure of your work. With them you will present your photos in a unique way. Photographers can really benefit from the themes by saving time to maintain their website and the cost for hiring a designer. It will be much easier to showcase your photos to the potential costomers and allow you to focus on your creative work. In this collection, we will showcase the best Photography WordPress themes. With them you will present your photos in a unique way. Hope you will love it! Afterwards, check out the very latest best Photography themes for this year. Snap! is a new, highly anticipated Responsive WordPress Theme. If you’re looking for a website for an art exposure this is exactly what you need. New, warm, stylish and creative this is only few words of a million that come to your mind immediately after you see it. Are you a Photographer or a Model who needs to showcase his/her work? Search no more, Glare is the perfect theme for you. Minimal design + responsive layout + fullscreen gallery = Fullscreen theme. It is a gorgeous photo gallery theme where the photos are put in center focus. Users can toggle to fullscreen mode by clicking on the fullscreen button and pressing escape key to exit the fullscreen mode. Pace is a stylish portfolio and blog WordPress theme, but surely can be used for another purposes. The theme is ready for high resolution displays as well as perfectly responsive. Escrinto is a very simple and useful Premium Theme, especially for people who need a photography website. It has a portfolio custom post which creates new possibilities and adds new features. The clean design focuses the viewer’s attention on the artist’s work and its simple navigation enables quick page, portfolio and blog access. Magnat is a very simple and useful Premium Theme, especially for people who need a photography website. It has a portfolio custom post which creates new possibilities and adds new features. Suheto is Fullscreen Image Background Slider WordPress theme suitable for photographers and designers, powerful yet simple to set up and administer. This Full Screen Extravagant portfolio theme speaks for itself and will definitely appeal to your audience. James has spectacular features in full screen to showcase your portfolio or store. Gleam was built to dazzle. With its flashy effects and smooth ajax loading techniques, this theme creates a truly unique experience that is sure to grab your visitor’s attention. Analytical is a full width WordPress theme built especially for photographers and others who want to feature more graphics on their website. Are you a Photographer or a Model who needs to showcase his/her work? Memories is the perfect theme for you. Landscaper is a brand new Fullscreen Creative Business WordPress theme. It’s fresh & modern look with friendly features will make your website a standout. It’s both fun and easy to work with this theme. Sharpness is a a theme with main purpose of showcasing photography. If you are a photographer and already have beautiful images to start with, Sharpness will give you a new and exciting way to showcase them online. Shuttershot is a fullscreen slideshow template. This theme is ideal for photography websites to showcase their portfolio in style. The theme has option to use either a full screen slideshow on the homepage or a regular blog with image slideshow as the background. Axis is a new fullscreen portfolio wordpress theme. This is a premium quality theme with features on par with paid themes. 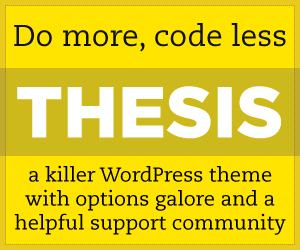 The theme use WordPress 3 features like Custom post types, Custom taxonomies, Custom menus, featured thumbnails etc. This will be a n ideal theme for professionals to exhibit their portfolio in style. Envisioned is a beautiful and powerful portfolio theme that enables you to easily create professional, multi-media galleries. Envisioned has the most powerful gallery features, allowing you to produce versatile layouts of various sizes and aspect ratios. Photoria is a simple & stylish theme ready to be used for your Photoblog or Portfolio website. ePhoto was created for those looking to turn their blog into a photo gallery. While the theme was created with photographers in mind, it can certainly be used to display any type of digital imagery. Penafiel is clean and responsive Photography & Portfolio WordPress theme. You can use this theme for your portfolio or show your photos (Photographers for ex.). The Photostore theme is an incredibly elegant WordPress theme designed for Photographers. Every intricate detail has been carefully designed and developed to make sure that your photography/creative-based website is a breeze to set up. Professionally showcase and sell your photography with the fully responsive Photographer Theme. This theme was created with the photographer in mind, featuring a minimal design that focuses on the photography. A minimalist theme for Photographers and bloggers alike with features such as image filters and a unique gallery slider. A beautiful photography theme built for pros, instagrammers and photographers. Easily showcase albums of your kitten, photo shoot or panoramics. Whether you’re a pro with a Canon 5D and 10 lenses or a casual instagrammer, Picks has you covered with easy functionality and photo-focused layouts. Looking for a creative and professional way to present your photography or your portfolio? Showroom is what you need. This theme comes with a whole set of cool features like a fixed Sidebar, Page Alignment, Featured Images and different style variations, which allow you to create your own unique look. Showcase your art, photography, design work or even print. If you think of your work as art, this is the wordpress theme for you. PhotoNote is a complex theme built for photographers. It includes 3 pre-defined styles and allows you to display photos and videos in multiple ways in posts. Neptune is a free WordPress theme by WPExplorer.com that’s perfect for portfolio, gallery and photography websites to showcase photos. The theme has been setup using a custom post type for the portfolio so you can add your portfolio items, organize them into categories and show them off on the homepage. Photobox is designed for photographers and artists to showcase their works. Slide is a responsive WordPress theme that allows you to present slideshows in complete fullscreen mode. The posts are opened elegantly in an animated lightbox window, allowing the next or previous post to be viewed in the lightbox without exiting the window. PhotoTouch is a beautiful photo theme designed with mobile devices in mind. It features a gallery/slideshow that mimics the iPhone native Photos app. User can swipe or press arrow keys to go through the photos, double tap, auto play, pinch and expand, etc. Combined with the responsive design and slider, PhotoTouch is a perfect theme to showcase your photo portfolios. Galerie is a photography portfolio WordPress theme for photo enthusiasts and professional photographers. It allows you to publish your photos and present them in the best way possible. If you are a photographer looking to showcase your work in style then let us present you your soon to be portfolio website. PhotoFrame is a clean, refined and responsive photography / blogging theme. It’s the perfect theme for photographers, designers, filmmakers, and creative professionals for sharing and managing your work online. Oh, how lovely it would be if you could keep all the memories of those great times of your life. Freeze the moments, post them online and share them with your loved ones, no matter where they are. Narcilicious helps you achieve exactly that. It turns WordPress into a good looking online photo album. Artist is a 100% Responsive theme created for illustrators, videographers, photographers, and other creatives looking to present their work on an ultra-professional website. It embraces cutting-edge design trends & tech, looks amazing, and is guaranteed to adapt to your unique style of work. Are you photographer? Need a website to showcase your beautiful photos? Whether you are an amateur or a pro, Photographia is here to highlight your masterpieces. Turn your web site into a stock photography business. Manage your portfolio, blog and stock photography business all from one site and keep 100% of all sales. If you have any suggestions, please leave us a message below. It will help us to serve you better. Thanks!